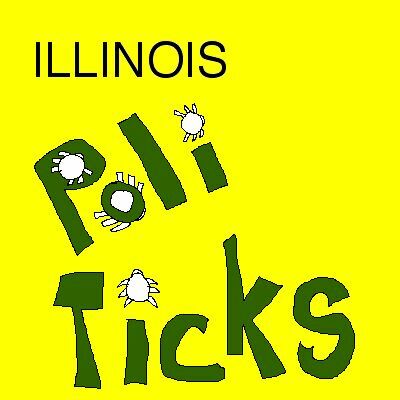 If you have been covering Illinois politics for almost four decades, you know that what has gone around will come around again. It really does not matter whether the official is a Republican or a Democrat. Scandal be thy middle name. The brazen privateering of the public trust shocks many non-Chicagoans who locate to the Windy City. But it has been engrained for so many generations, it has been erased from the ethical collective conscious of the general public. Friends and colleagues have always liked the 1984 Governor Pigg cartoon that was first published in the Real News, when it was in postage burning newsletter form. We bring back this cartoon to make a suttle point with a hammerhead shark: nothing has changed. It is like a forest preserve portable toilet that has never been serviced in a decade: it keeps piling up and overflowing, but no one in charge seems to care. The cartoon subject is in the news. Former Governor Thompson may take the stand in the federal fraud trial of Conrad Black, the media baron accused of robbing his own companies at the expense of his public shareholders. Thompson was on the corporation's audit and board of directors. In civil litigation, the board and its members were accused of sleeping at the wheel while millions were looted from the shareholders. Thompson's old line law firm has lost millions in pro bono/gift work for another former Governor, George Ryan, who was convicted of political corruption charges. Thompson's protege, Dan Webb, spent the better part of a year preparing and trying the case against Thompson's old political friend and protege, Ryan. It has been alleged that Thompson is on retainer for the current Governor, Blagovich, who is also been alleged to be a target of federal probes. 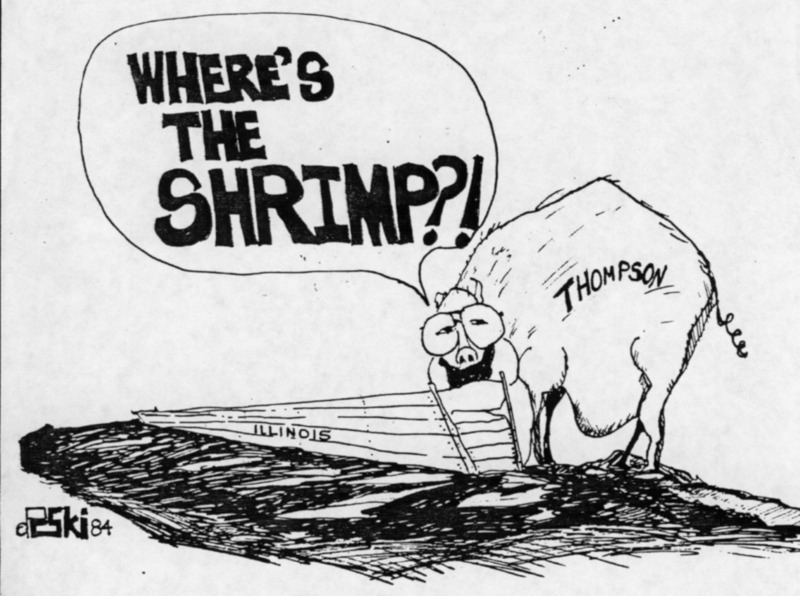 Once one has their snout so deep into Illinois politics, it is impossible to get out of the monied mud. It is a simple concept. Citizens have a right to honest government. But the indictments are coming out of grand juries like a factory spitting out lawn furniture. As Mayor Daley is attempting to buy his way out of a long standing federal court order which supervises city hiring practices, his former streets and sanitation chief was indicted for illegal political hiring practices. Even when the prosecutors are naming names and taking guilty pleas, it appears to be business as usual at the state, county and local level of government. Hubris? Yes, in a basic one-party, feudal system of political royalty. Most common folk thought that it was just politics. It may be nickel or dime bribery. Then, it may be tens of thousands of public dollars wasted; not a great commotion in the grand scale of things. But as the indictments continue to go up the food chain, the numbers are beginning to spike at alarming rates. The public dishonesty that has plagued Illinois is not in the hundreds of thousands of dollars, but in the hundreds of millions of dollars. People will have to wake up soon, because their tax bills are choking them to financial death while government services are falling down to nil. Every level of government in Illinois is bankrupt, and now the taxpayers will have to ask what the heck happened to the billions of dollars collected, and the billions of dollars of mounting debt to show for it?